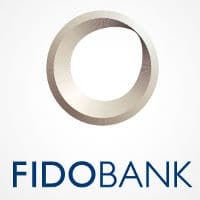 Consumers across Ukraine can now make host card emulation (HCE) based mobile payments using The Pay, a new service launched by Fido Bank in partnership with mobile wallet platform provider PriNum. The service is the first in the country to make use of Visa cloud-based payments and is being launched in collaboration with Retail Group, operator of the Velyka Kyshenia, Velmart and VK Express supermarket chains. “Following an installation and a one-time enrolment process of The Pay on an NFC-enabled Android device, any Ukrainian citizen can make fast and secure contactless payments at NFC capable POS terminals,” PriNum says. Consumers who download The Pay app will get a one-time bonus deposited into their digital card account and 5% cashback on purchases made using the service at any Retail Group store, the company added. “We have tried to build it around the principles of being simple, being rewarding and being secure, both for customers and for merchants,” says Grigory Roginsky, director of PriNum. “Consumer uptake of mobile payments will be correlated to the value add obtained from using mobile phones.